KBB 2018, the UK’s leading trade fair for kitchen and bathroom design, exceeded all expectation this year, proving to be the most successful year ever for Häfele. 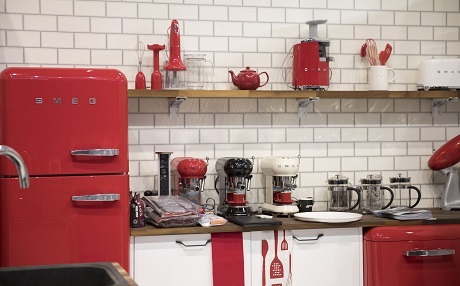 The hugely anticipated exhibition took place between 4 th – 7 th March at the NEC in Birmingham and saw hundreds of visitors attend our two-storey stand to experience the latest innovations in kitchen functionality and furniture design. Visitors demonstrated their excitement for this, with over 700 copies of Häfele literature requested on the stand and nearly 200 customer visits organised during the four day event. This year, the Häfele stand showcased a highly diverse array of industry-leading design, from strategic partners such as Smeg and GROHE. 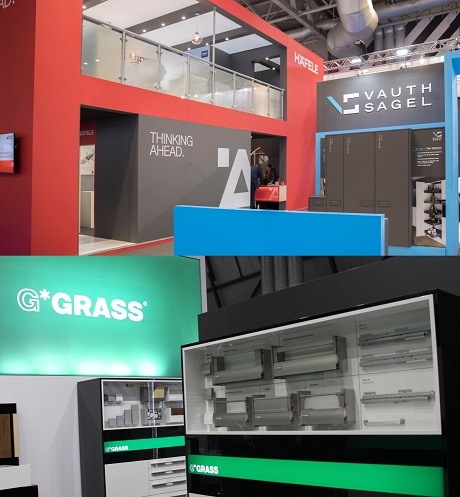 In February, we announced our stand partners for the year; Movement Systems specialist, GRASS, and Kitchen Accessories manufacturer, Vauth Sagel. Häfele-manufactured brands were also showcased, along with information about the recently launched Häfele Lifetime Guarantee. 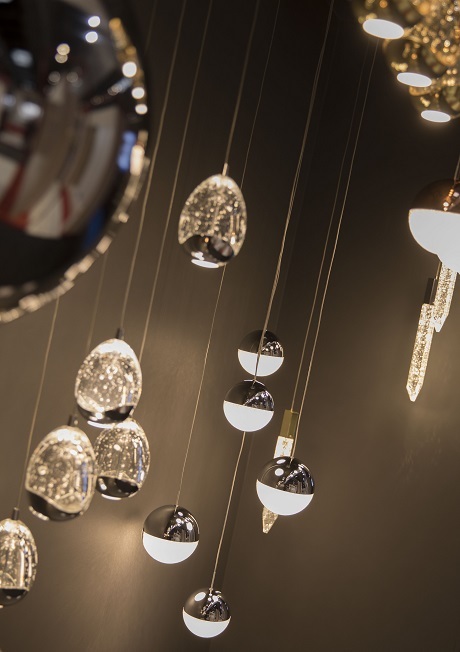 Visitors experienced the exclusive showcase of our new stand-out range of pendant lighting; a collection of six exquisitely-crafted pendant styles, taking inspiration from both vintage and ultra-contemporary designs. The pendant lights are an expansion of Häfele’s already comprehensive lighting offering and are available in a variety of layout configurations and provide the flexibility to create a range of unique looks. Click here to find out how to create atmosphere with pendant lighting. In the Vauth Sagel area, the show-stopping Cornerstone Maxx took centre stage, with its beautiful planero drawer design and new lava grey finish. 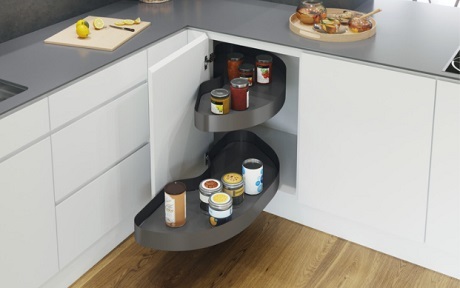 The Cornerstone Maxx transforms inaccessible and wasted corner-space in the kitchen into a key storage asset, providing maximum convenience without compromising access to neighbouring cabinets. 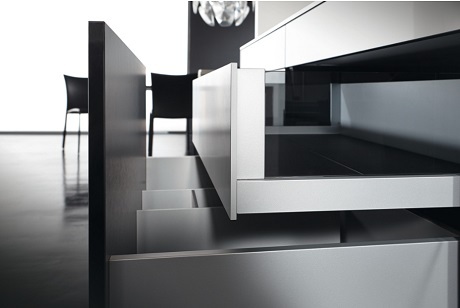 This innovative system is exclusively available from Häfele UK. Find out more here or view the product here. The GRASS area saw the award-winning Nova Pro Scala drawer system steal the spotlight. This expertly designed system provides a harmonious, transitional style whilst offering maximum scope for creativity and space. The GRASS Nova Pro brand is synonymous with exceptional stability, quality and smooth-glide double-wall drawers. Nova Pro Scala offers an inside surface with minimum construction width, soft-close sophistication and allows for the exterior finishes to be changed to match varying preferences. Find out more here. 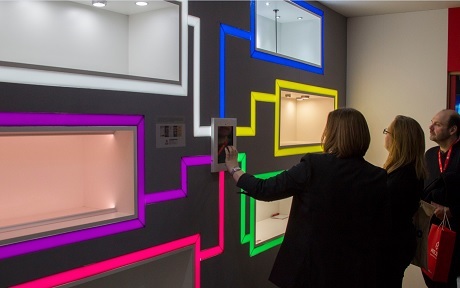 The Loox lighting room provided an interactive area for visitors to engage with the stunning effect and simple technology of Loox lighting for themselves. Visits to this area resulted in over 120 requests for Loox information, showing that the innovative plug-and-play system remains a customer favourite. Find out more here. Supported by Smeg, The Häfele Pitstop hosted a café and seating area for visitors to relax relax with hot and cold refreshments, whilst viewing an assortment of Smeg appliances, including Smeg SDA’s, such as the toaster and stand mixer, the Smeg freestanding dishwasher and the Smeg fab fridge freezer. 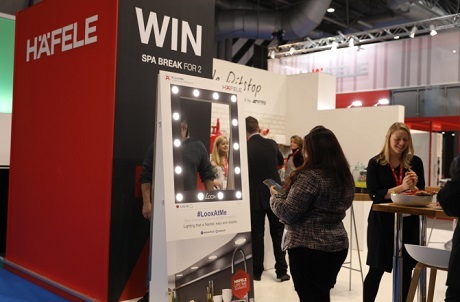 The Häfele Pitstop was also home to the #LooxAtMe frame, a frame fitted with Loox lighting that served as a photo prop for visitors to the stand to have their picture taken in on their own or with family and friends. Visitors were encouraged to share their photos on social media to be in with the chance of winning a luxury Champneys spa break for two. Didn’t get the chance to attend KBB 18? You can view all of our latest innovations in What’s New: The Spring Edit.